Writing is one of the most important elements to learning. Writing has two aims. You write to forget and you write to remember. You write to forget when you hurriedly scribble a name, address, or other information on the back of an envelope or some torn scrap. You hurry to get it down before you forget and so you can forget as soon as you get it down. You do this because you may need this information at some point, but you don’t won’t to commit it memory. The problem I usually have is that I can’t remember where I wrote that name and number, or what I did with the paper. You write to remember when you write deliberately. When you write deliberately, you write thoughtfully. You are not just jotting down some info you may or may not need. You are writing about events, experiences, concepts, theories, relationships, feelings, reactions, truths, and so on. You are thinking about things, considering, and learning. Writing facilitates thinking and is vital to learning. Hearing a sermon well is a disciplined skill. Writing, note-taking, is an important part of hearing a sermon well. Sermon-hearing methods vary for people. Some do not take notes during the sermon. They rather listen and soak it up and then reflect and write some things later. Some take notes during the sermon. Others listen passively like they are watching some sporting event or media entertainment. The last group above will likely find expository preaching boring and hard to follow. They are mostly interested in the effect of the moment and do little to no reflection in what was preached. They tend to seek the more superficial, immediately practical, entertaining type of “preaching.” I’m straying just a bit from the point of this post. Let me just say then, this practice is dangerous to the soul though gratifying to the flesh. For those who use writing as a part of their sermon hearing, whether during, afterward, or both, I have a recommendation for you. I realize that most people have their own systems and that is fine. This is just a suggestion. Journibles are produced by Reformation Heritage Books. They are fairly inexpensive, good quality, hard bound books. They don’t yet have books for every book of the Bible, but they have most of the New Testament and some of the Old Testament. They are laid out to go through a whole book from beginning to end. The right side page has room to write out the verses of the Bible book. The left side page has a few questions from those verses and space for notes. 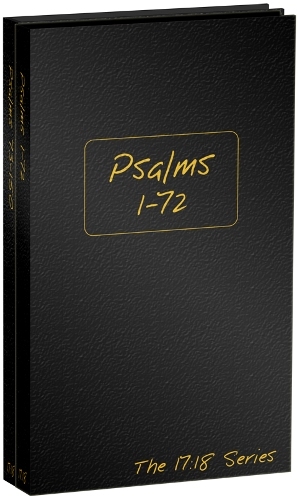 At the end of use, you will have written every verse of that book and answered questions and written notes on the whole book. One helpful use for these would be to use them in your sermon note-taking. As your pastor preaches verse-by-verse through a book of the Bible, you could take notes in the Journible. You could write out the verses covered either before the service or afterward during reflection. By the end of the study, you will have written out every verse of the book and have notes throughout. So you will then have your own commentary for future reference and study. I have no connection to the Journibles or RHB. I do not make anything off the sale of these. I have bought some myself and plan to buy more as they become available. They are good quality and should hold up well to use. They will also look nice on your shelf. Using a book like this will make organization easier. I believe these can be helpful and I pray that God blesses your study of His Word.